Dr. Charles Stanley's month-long exploration into the heart of God strengthens and encourages readers to live as those fully and unconditionally loved. The Power Of Gods Love by Charles Stanley was published by Thomas Nelson in June 2008 and is our 41012th best seller. 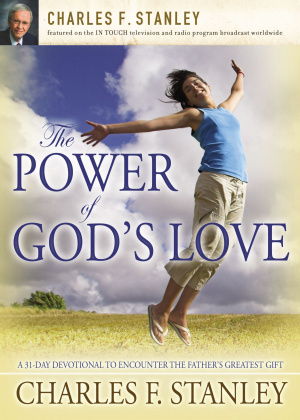 The ISBN for The Power Of Gods Love is 9781400200931. Be the first to review The Power Of Gods Love! Got a question? No problem! Just click here to ask us about The Power Of Gods Love.